This episode we talked with our final Podcast Challenge winner, Dina, who called us all the way from Germany! Dina is a recent fan of Bruce Lee. She grew up in East Germany, the German Democratic Republic, and she never heard anything about Bruce Lee. She thinks Bruce Lee wasn’t mentioned in the GDR because he had “made it” in the Western world and people from Western countries were not talked about in the GDR. Dina just discovered Bruce Lee last year when she and her boyfriend watched “Way of the Dragon,” last December. Her boyfriend grew up in Western Germany has been a huge fan of Bruce Lee since he was young. Finally, he convinced Dina to watch a Bruce Lee movie. She thought the movie was really fantastic and it touched her. The humor in the film surprised and delighted her since she sat down expecting a serious action film. 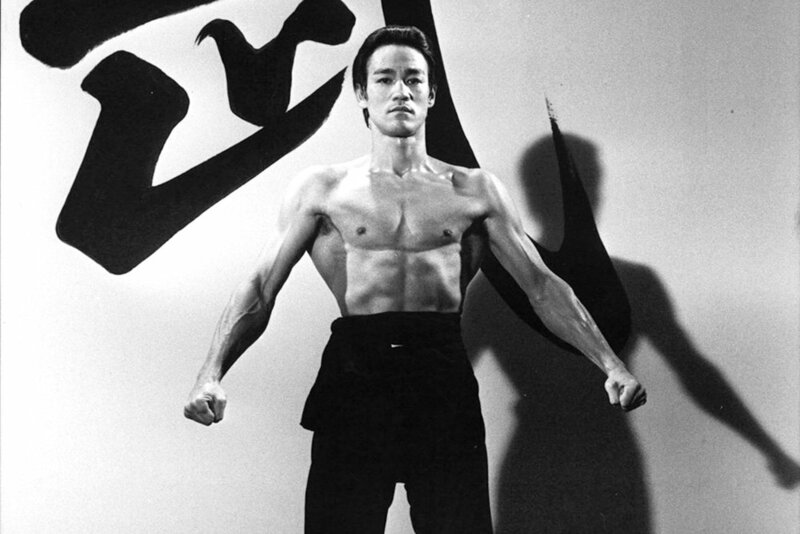 Bruce Lee was like Superman, but without any special effects. It was so impressive and she could see that everything was real, the muscles, the fast moves, something you can only achieve today with computers. She thought, “He must have a special super power.” After the movie, they watched the footage on the DVD and Dina found out what Bruce Lee’s super power is, his philosophy. That’s when Dina decided she had to research Bruce Lee further. After the movie, Dina’s boyfriend gave her a book, “The Life and Tragic Death of Bruce Lee,” which is a biography Bruce’s wife Linda wrote in the 70’s. Dina would read some of the stories aloud when she and her boyfriend would sit down to breakfast or lunch. She then searched online for more about Bruce Lee and that is how she discovered the podcast. Dina decided to participate in the Podcast Challenge because she’s always been interested in working on herself. She finds it is important to not stand still and to get better for oneself. Bruce Lee’s perspective on being the everlasting student especially impressed Dina and that way of life was something she wanted to pursue herself. She wanted to know what would happen to her if she applied this philosophy. After completing the Podcast Challenge, Dina’s takeaway is that it was hard, but also fun. Before the Challenge, when an episode particularly resonated with her, Dina would try and do the Action Item for that episode. With the Podcast Challenge, she says all that came together and helped her to take her inner development more seriously and to put it in focus. At the beginning of the Challenge, Dina says she was not the best student. She wasn’t journaling or saying her affirmations out loud, she thought she could just recall her affirmations to mind and that would be enough. Dina found that this doesn’t work and by the 3rd or 4th day she decided that she had to take the time in the mornings to do it properly. (1) Will power: I will bring the power of my will into action at least once daily e.g. getting one unloved task done (at work or at home) (2) Be water: I won't be in the opposite and rigid but I will be neutral to any at first sight strange or nonsense things that happen or are going to happen and will try to adapt myself, look at them from a positive side and so change them by adapting to my favor or put my mark on them (3) I will recognize /be conscious of my negative feelings and hold back an outward reaction as soon as I recognize them. I'll take a pause in these situations, calm down, analyze why I am negative about it (analyze my fears) and give a response later or maybe no response. In best cases I try to see something good in it or try to reframe it to something positive. Once she started to read her affirmations out loud, Dina found she was thinking deeper about them and that the words gave her energy. They became a daily reminder, especially for her second and third affirmations which she thinks she has to work extra hard on. Dina’s third affirmation was helpful in her workplace. She works for a large corporation and sometimes she gets notified about things or has to do tasks that don’t make sense. She found that being more open in those situations created a better dialogue between her and her coworkers and that people became more helpful when she didn’t have a negative attitude about the situation. It energized Dina and the people around her. For the second part of the Challenge, Dina said, “I would feel better in my body if I would sleep at least 7hrs per night.” She only accomplished that goal for half of the Challenge, but the rest of the time she slept her usual 5-6 hours a night. Even though going to sleep earlier was getting Dina more sleep, it wasn’t making her happier. She has a full-time job and by going to sleep earlier she was cutting into her time to do her hobbies and whatever her household needs. While her body was feeling better in the mornings, her mind wasn’t happy giving up doing the activities in the evening that bring her joy. The balance between feeling fulfilled in life and caring for her body is a problem that Dina can continue to experiment with. Even though Dina is not one to comment negatively about others, she found that others like to talk to her about other people. She didn’t realize that people liked to gossip with her, and found it hard to refrain from commenting when a colleague would come to her and ask, What do you think of person X or Y?“ or “He/she is so this-and-that, don‘t you think so?“ She found that it was very difficult to refrain from commenting, but tried to remain positive about everyone. Dina worked on different responses to these situations, either just having a non-committal response or if she had to say something bad about someone she would also say something good about them. She noticed that the negative talk would stick with her longer than the positive talk, but that there is also a time when criticism has to be given to improve someone’s performance. Sometimes you have to let your emotions our and it is okay to vent, but with a trusted friend or partner instead of with everyone. If you vent with everyone then you can become the person that everyone brings their gossip talk to, and that’s never a good thing. For those of you inspired by Dina’s experience with the Bruce Lee Podcast Challenge, you can do it too! Just go to Podcast Challenge to find out more. Dina nominated Korean American actor Steven Yeun and she knows him from the TV show he’s on, The Walking Dead. Steven Yeun plays the character Glenn in the show, and Dina thinks that he does a wonderful job. Yuen was born in Seoul, South Korea and grew up in Michigan. He received a bachelor’s degree in psychology with a concentration in neuroscience and became involved in the improv scene in Chicago before moving to Los Angeles in 2009. In 2010, Yeun was cast as Glenn on AMC’s The Walking Dead. Yeun is also an investor of The Bun Shop, a Korean-Mediterranean fusion restaurant in Koreatown, Los Angeles. Steven Yeun, we think you’re awesome!